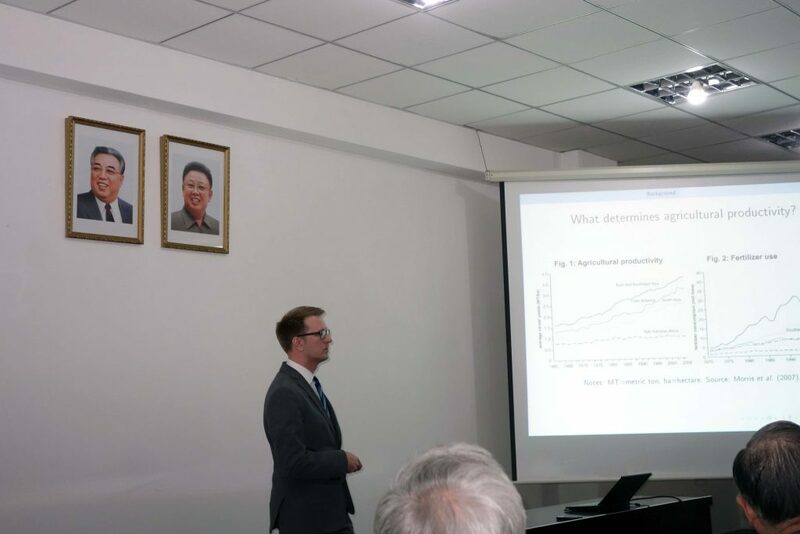 During the Spring 2017 term, Pyongyang University of Science and Technology has hosted a research lecture series for the PUST foreign faculty to present their research. All members of the PUST community, including DPRK faculty and students, are invited to attend the series. For many developing countries, the diffusion and proper adoption of modern agricultural input technologies such as fertilizer and improved seed varieties remains a key factor for achieving food security, reducing extreme poverty, and triggering sustainable economic growth. The presented research analyzes the empirical role of different economic factors in this context and develops a novel framework to study technology adoption under rational inattention, an approach that takes into account psychological evidence on the limits of human cognition in economic decision-making. The goal of this work is to investigate alternative ways to support farmers in choosing optimal cultivation practices and applying modern inputs more efficiently. Dr. Naeher is currently teaching Econometrics to undergraduate students studying in the College of Business.